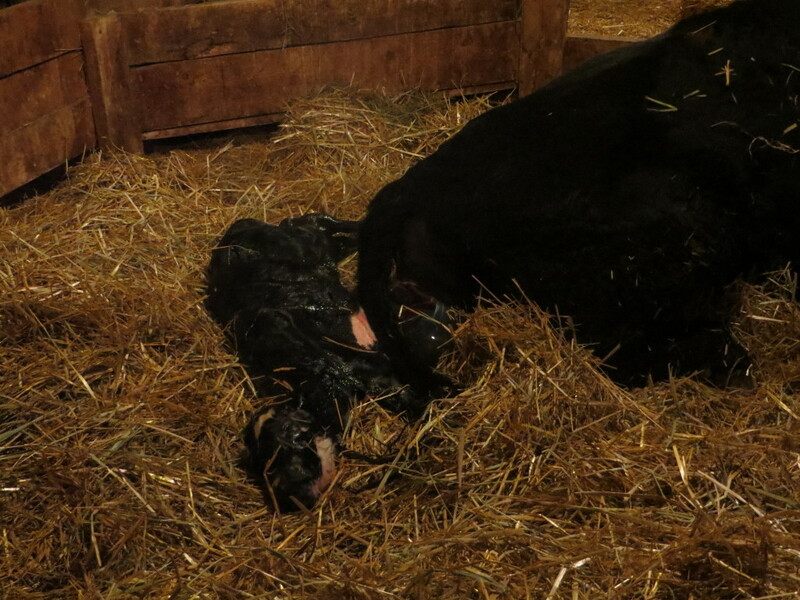 I had taken photos and a movie of a calf being born the other evening, but it turned out too dark to share with you. That was Spock. I guess since I “thought” about sharing it… you would all know who I was talking about! Duh. So, sorry about that! His chin is white, and his eye is glistening, but above that is the thin Vulcan-ish eyebrows that made me think of Spock! Here he is the next day. When he dried off, his eyebrows widened, so it’s not as evident, but, hey… we don’t have that many baldies anymore and I have fun with the ones we do! 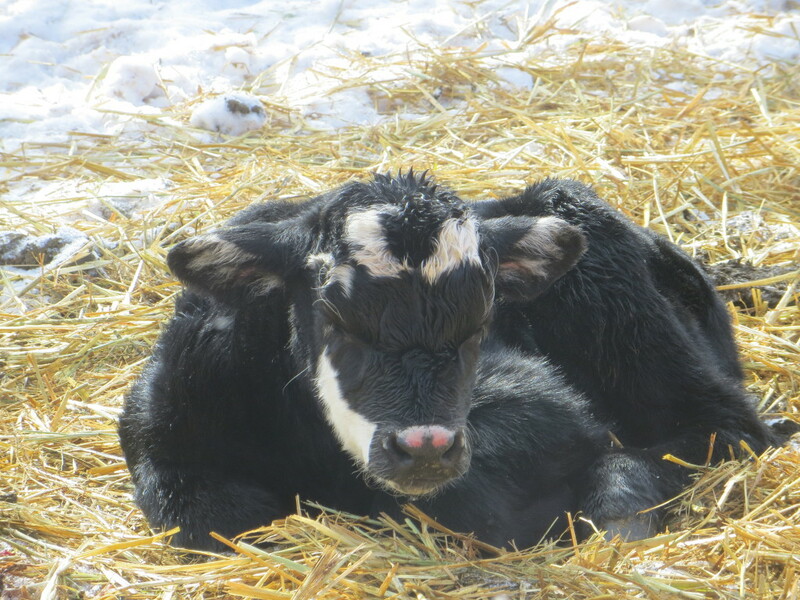 He’s just dozing in the straw… contemplating something logical, I’m sure! Oh he’s a beauty. Great name for him.